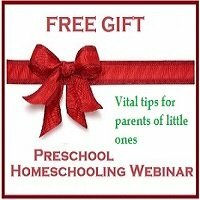 The pages listed below contain preschool ideas, tips and information about teaching various concepts to preschoolers, arranged by subject. These articles also contain reviews of recommended resources and suggestions about how to use them effectively to stimulate interest and learning in young children. Remember that at this age, the primary aim is to instill a love of learning in children and not to overwhelm them with facts. An easy-to-use, literature-rich preschool curriculum to make learning the ABC fun! Weekly preschool lesson plans, printable preschool worksheets, easy kids crafts, preschool & kindergarten themes, children's stories, nursery rhymes and more are included. Three resources in one: Reading, Writing and Arithmetic. 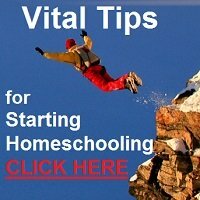 Here Dr Beechick gives an explanation of how to follow a homespun, natural system of teaching that does not require expensive teaching materials and that is tailor-made for you and your child. She gives practical advice and guidelines for what to do for each step or each age group. This book will raise your confidence levels, as well as inform you about how to teach the three R's effectively. A great investment for any parent who wants to teach their child! 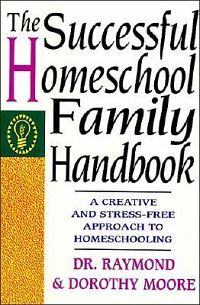 Read this invaluable resource before you face the sometimes overwhelming task of choosing the "right" curriculum for you and your child. "A wonderful alternative to the tedious workbooks and overly academic approaches usually used. The best little teaching aids I have ever read. With my children as proof, these ways are far above other methods we have tried." Get your kids hooked on books, develop preschool reading skills and ignite a desire to learn to read and enhance comprehension by reading with your kids. Tips for teaching left-handed children correct techniques for writing, drawing and colour-in to avoid common pitfalls and writing difficulties later in their schooling. Two essential activities to develop your children's communication skills and set them up for success as adult communicators. Teach kids about numbers, counting and quantity, including concepts such as money, time and measurement, problem solving skills, classification, analytical skills and more. Preschool math activities should mostly require children to use the manipulative mode. These practical math activities will help children explore numerical concepts. Children's curiosity for the new is aroused by what they already knows.Find out how to incorporate easy science activities and preschool science experiments into your days. Give your children have an appreciation of people from different countries and cultures from around the globe. Preschool ideas for preschool themes and preschool lessons, holiday themes, the four seasons, my body, my community and more. Begin an art appreciation adventure with your preschoolers and enrich their lives with inspiring works of art by the great artists. Children are never too young to enjoy beautiful art. Find easy faith building activities and resources for your Preschool Bible Lessons or subscribe to The Whole Child and have faith building and other activities delivered to your inbox. This is a subject that is not bound by age-groups but can be enjoyed by everyone. Use these ideas for your preschool music appreciation adventure. "You don't just need a list of ways for a kid to make money. You need a strategy to teach kids money skills for life!" Find ideas to teach kids money skills and help them learn business, entrepreneurship and other financial skills. It's never too soon to start! Well-chosen toys and games will help to create a 'learning environment' in your home, where children will be stimulated and develop skills through play! Links to free kids games online. Please tell me about others that your children enjoy that can be added to this list. Learning games and ideas to entertain children and make the most of the time on the road. Suitable for short trips about town, but also long distance car trips. Well-chosen toys and games will help to create a 'learning environment' in your home, where children will be stimulated and develop skills they need in life through their games and playtime! The idea that parents should hurry reading, spelling, writing, or math ahead of children's normal development is not supported by a single replicable research study in the world or by any clinical experience in history." What preschool crafts or art activities have you done? See the easy kids crafts that have shared, comment and get inspired here! Upload a photo and share your kids' craft activities too! So easy!